The Northern Agricultural Region (NAR) covers 7.5 million hectares of WA, stretching across valuable agricultural land and environmental sites. The NAR runs from Gingin in the South to Kalbarri in the north, east to Mullewa, Perenjori and Kalannie along the Local Government Area (LGA) boundaries. The coastline and waters (to three nautical miles and including the Abrolhos Islands) also form part of the region. Broadcare agriculture is the predominant industry, but fishing, mining and tourism contribute strongly to the economy. The region is an enormously important producer of food for local consumption and export; and contains sites that are internationally recognised as biodiversity ‘hotspots’. 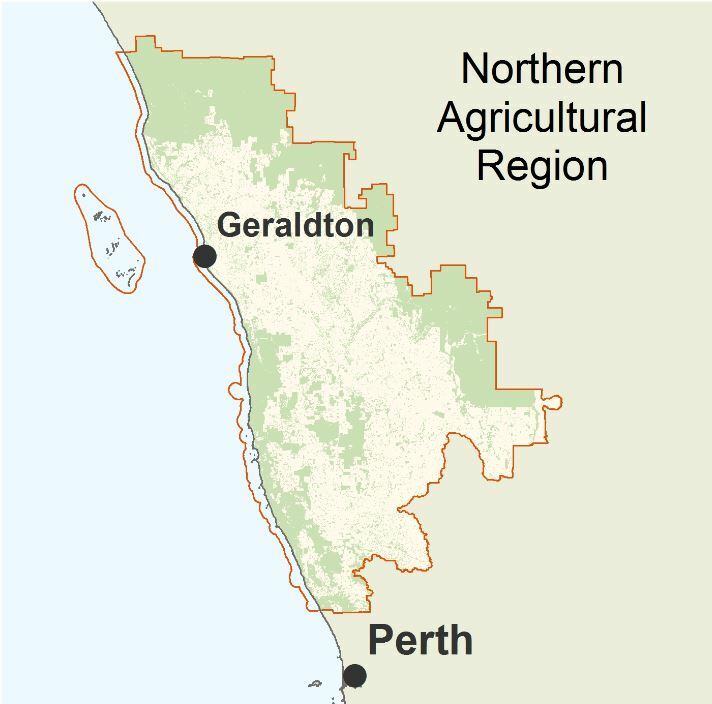 The NAR is home to a population of over 60 000, with over half centred in the Geraldton-Greenough area. Some of the critical management issues include increasing soil condition impacted by wind erosion and soil salinity and acidity, water quality and quantity, and restoring habitat to maintain unique flora and fauna.